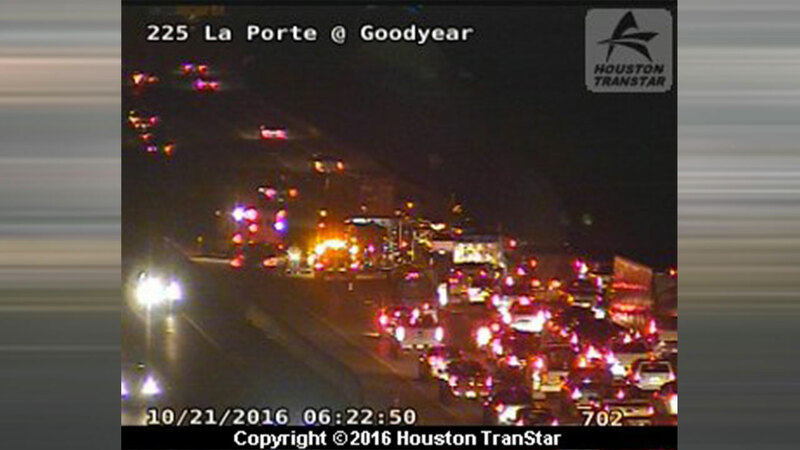 HOUSTON (KTRK) -- A major crash has Highway 225 westbound at Goodyear blocked. Traffic is at a crawl after the two-vehicle accident blocked the left and center lanes. Drivers are able to get by in the meantime on the right lanes. Katherine Whaley says you can use Lawndale to get around the wreck. We have not heard of any injuries yet from this accident.